Swindon Borough Council Council have today issued a press release confirming that they are no longer pursuing a transfer of management to the Lydiard Heritage Trust. This raises the ugly prospect of Lydiard once again being transferred to the private sector. The Council has said the reason why they have pulled out of talks with the trust is because of a disagreement of the required works needed for Lydiard House. 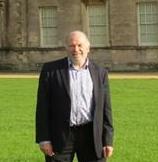 A total of £850,000 had been set aside by the Council as part of the competitive process to contribute to backlog maintenance works upon the transfer of the house and country park but, after Lydiard Park Heritage Trust submitted its updated business plan in October, there was a significant disparity of millions of pounds. Talks to narrow the gap in valuations and the requested contribution from the Council for the works ended without agreement. The Council have said that this, and a requirement for an operational subsidy, would have made any deal unlawful in light of the bidding process, as the Council would be in breach of its Best Value Duty under the Local Government Act 1999. “Swindon Borough Council have presided over a shambles. My sympathies go out to the Lydiard Heritage Trust’s Trustees who have given their time, effort and money to be part of a new chapter for Lydiard, ensuring it stays under the control of the local community. Now Lydiard’s long term future is back in jeopardy. 2 years ago when the Council proposed transferring Lydiard, Labour warned how complicated such a transfer would be and that it would favour private sector bidders who would have the initial capital investment to pump in to Lydiard. Those concerns were dismissed by the Conservative administration but they have turned out to be spot on.